If you still don’t have a jar of coconut oil in your kitchen and bathroom cabinets, drop reading this article and go get some! This wonderful oil is so versatile in its benefits and became so popular lately that it can be found almost in every grocery store or online. Conveniently, here is a link for you: Viva Naturals Organic Extra Virgin Coconut Oil is great for oil pulling, hair conditioning, and other uses. It is rich in saturated fats (unusual property for a plant oil) which makes it highly resistant to oxidation during heating. It has a high smoke point so it is perfect for frying. It is great for skin and hair treatments. Its nourishing formula helps to eliminate dryness and frizziness. 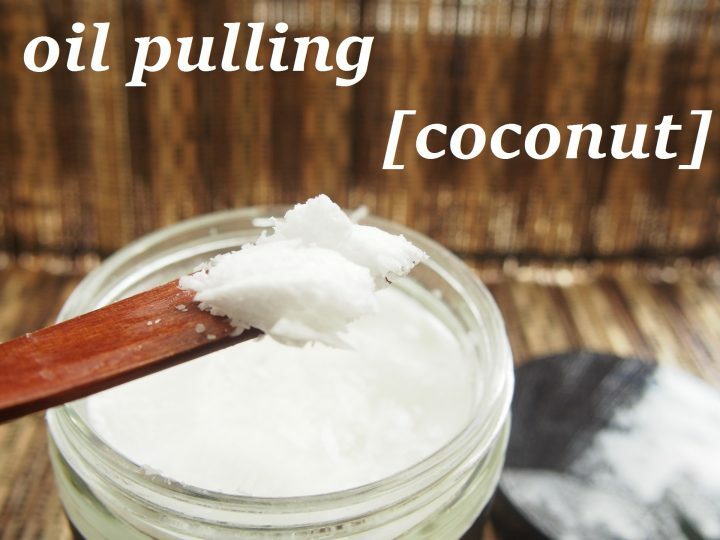 In one of our recent posts I mentioned that we are going to write about coconut oil pulling. I’ve tried it since then and got totally hooked. So what is coconut oil pulling all about? Basically, it’s a mouthwash like procedure which benefits go beyond the dental health, affecting the whole organism. The studies  have shown that coconut oil pulling could be an effective procedure for decreasing plaque formation and plaque-induced gingivitis. Due to coconut oil’s ability to pull the bacteria and toxins (that’s where the “pulling” term comes from), it might be a good idea to have 1 week of daily rituals every couple of months in order to whiten the teeth, refresh mouth breath and improve the overall health. The procedure is similar to a mouth rinse, however perhaps not as intensive since you will be doing it for 20 minutes, so save your energy to last through. Normally one tablespoon is advised, but as the amount increases when you start swishing due to generated saliva and accumulated microbes and toxins, it might be wise to start with a teaspoon. Which oil to choose? Of course, we recommend coconut oil for its anti-bacterial properties and a pleasant taste. However, in case you are allergic to coconut oil, do try other oils like sunflower or sesame. If you are interested what dental professionals have to say about oil pulling, check out the following article or this interesting interview with Dr. Gregg Lituchy on Byrdie, and of course consult your GP or dentist for further advice. After trying it out myself several times, I decided to set a 1-week challenge of coconut oil pulling. I am very excited about it and will keep you posted on the results. Stay tuned!